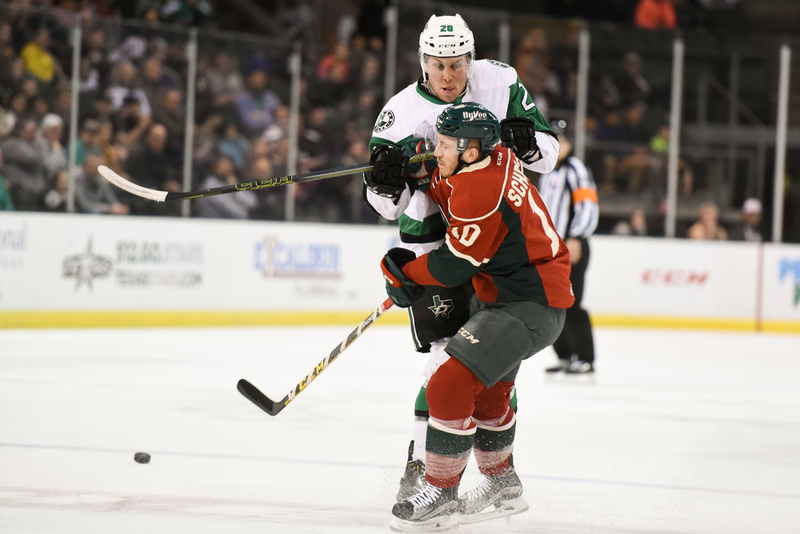 The Texas Stars enjoyed a big 5-2 win against the Iowa Wild at the Cedar Park Center last night. After a sluggish start in the first period the Stars came alive in the second to take the lead. The first shot is Brett Ritchie delivering a punishing mid-ice hit. 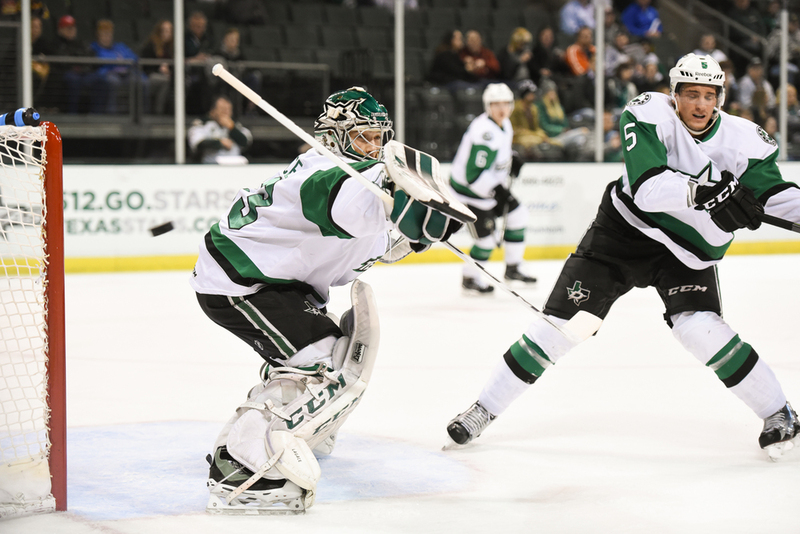 The second shot is Maxime Lagace deflecting an incoming puck. Matej Stransky celebrates a goal in the third shot.